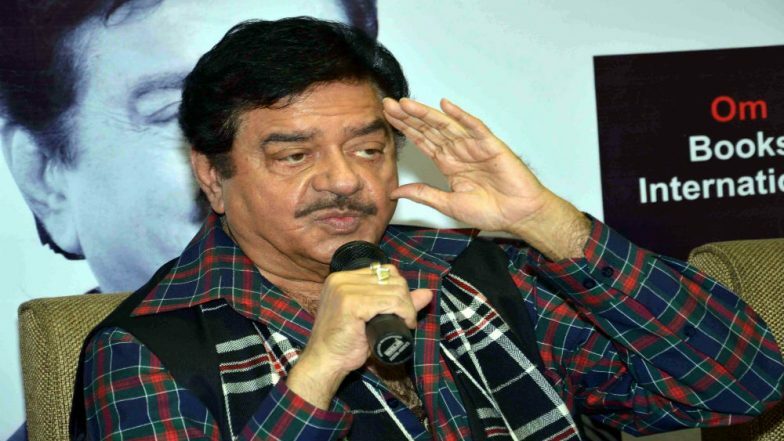 Patna, March 24: BJP rebel Shatrughan Sinha lashed out at the party top brass for denying ticket to him, along with former deputy prime minister LK Advani. The actor-politician said he could "still tolerate" the manner in which the BJP high command has dealt with him, but the way Advani was dropped from Gandhinagar constituency is "shameful". Sinha, who has been replaced from the Patna Sahib constituency by Union Minister Ravi Shankar Prasad, launched a tirade on Twitter. In the series of remarks which were targeted at Prime Minister Narendra Modi and BJP president Amit Shah, the two-time Lok Sabha MP said he is "capable" of giving a befitting reply to the party. "...What you and your people have done with me is still tolerable. I'm able and capable of answering your people back in the same coin. Remember Newton's third law...every action has an equal and opposite reaction. And I am capable of paying back," said Sinha, who won the Patna Sahib constituency in 2009 and retained it in 2014. "Your people have done was the most expected and awaited....orchestrating the departure of a most respected friend, philosopher, guide, father figure and ultimate leader of the party Shri LK Advani, from the political arena/ election," he tweeted. In another tweet, Sinha questioned the personality of Shah and said: "That too through the replacement of Mr Advani by none other than the man who is also the president of the party but whose image or personality is no match nor a patch on him. This has been done deliberately and intentionally and hasn't gone down well with the people of the country." Patna Sahib, the seat from where Sinha is set to contest, will go to polls in the 7th phase of Lok Sabha elections 2019, scheduled on May 19. In the coming days, Sinha is expected to make his formal exit from the BJP, and join one of the major Opposition parties.